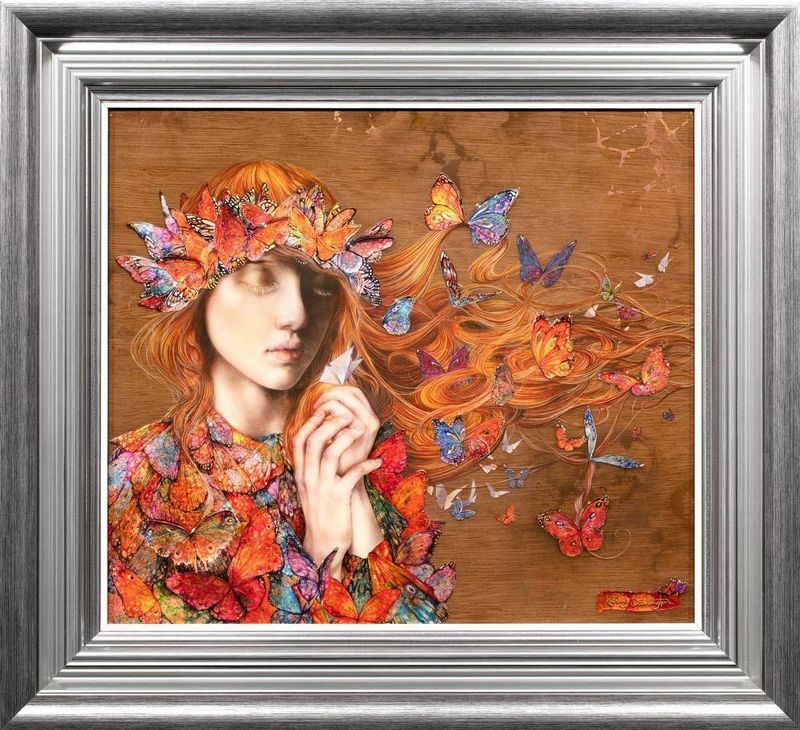 Wish Upon A Paper Butterfly - framed by Kerry Darlington // £895.00. a female, with long flowing red hair and of course this is the 2nd release with Kerry painting with the brown 'wooden' backdrop but this time she concentrates on the magical qualities of butterflies & their representation in our dreams. Interestingly, as per the: 'The Paper Boat,' origami presents itseld on the canvas as the lady (which you will see once the full image is up) is holding a paper butterfly! Released March 2019 - this is Darlington's 4th release back as being 'self published' - again choosing to publish just a small 95 copies to those lucky to secure a copy.